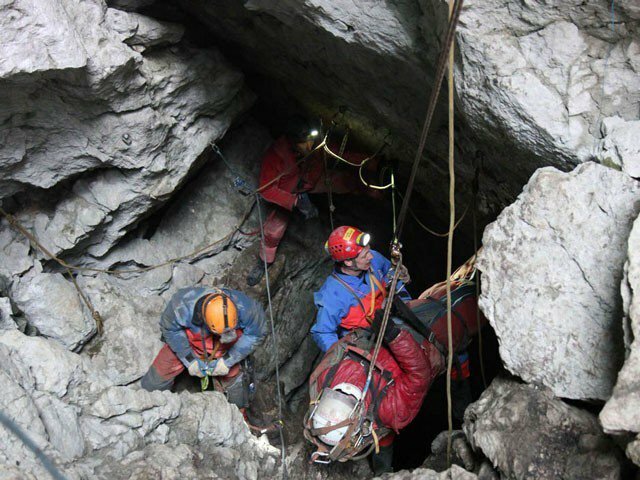 Shimla: Indian rescuers were racing Sunday to reach two labourers trapped more than 40 metres underground after a tunnel partially collapsed over a week ago, officials said. 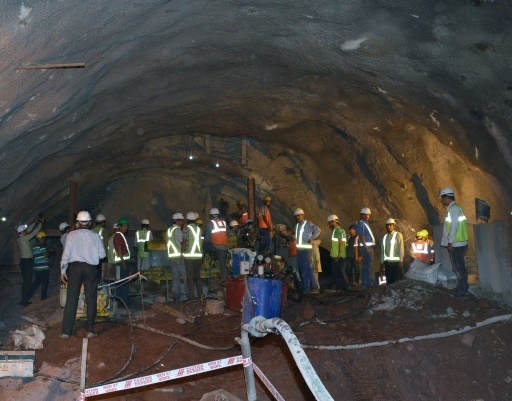 Three workers were trapped in the tunnel being built in the northern state of Himachal Pradesh after a cave-in blocked the entrance with tonnes of earth and boulders on September 12. Food and water were dropped to the workers during the week after engineers drilled a thin 47-metre shaft down to the roof of the tunnel, the Hindustan Times said. A remote camera and microphone were lowered on Saturday, allowing rescuers to speak to two of the workers who said they were uninjured. The fate of the third is unclear, the paper said. 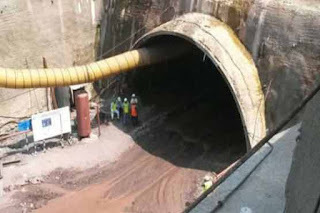 Using heavy machinery, engineers have spent days trying to dig a wider shaft to allow rescuers to be lowered down into the tunnel, which is part of a highway construction project. But efforts have been frustrated by mechanical breakdowns, National Disaster Response Force officer Jaideep Singh said from the site in Bilaspur district. “So far 42 metres have been done. We have a couple of metres more to reach the roof of the tunnel,” Singh said. “After which we may manually break the remaining wall to avoid collapsing of the ceiling,” he said. Rescuers were hopeful of reaching the workers later Sunday — eight days after they were trapped — with doctors on standby at the surface. “We are hoping to complete the operation by Sunday evening,” said Bilaspur deputy commissioner Mansi Sahay. Deadly tunnel collapses and other accidents are common in India, mainly in the mining industry where safety conditions are often lax.